Take the Ideation Challenge by submitting a single-page Business Model Canvas and single-page Validation Plan along with preparing a 2-3 minute “elevator pitch” — and you could win a prize package of services to help bring it to reality. Custom-designed WordPress website (with up to 10 pages of content) and up to 6 months of free hosting, courtesy of ​The Dubis Group. 2 one-hour elevator pitch coaching sessions with the City of Lakewood’s Entrepreneur-in-Residence along with other area entrepreneurs. More prizes to soon be announced! Finalists present their Elevator Pitch during the August Startup U event at Mahall’s on Madison – Tuesday, August 25th (please note that it was previously reported to be on the 24th — but the correct date is the 25th). 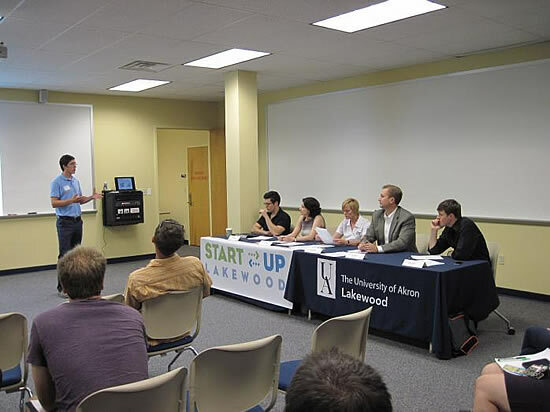 Note: All applicants should be available, if requested, to pitch live at the August 24th Startup U event.